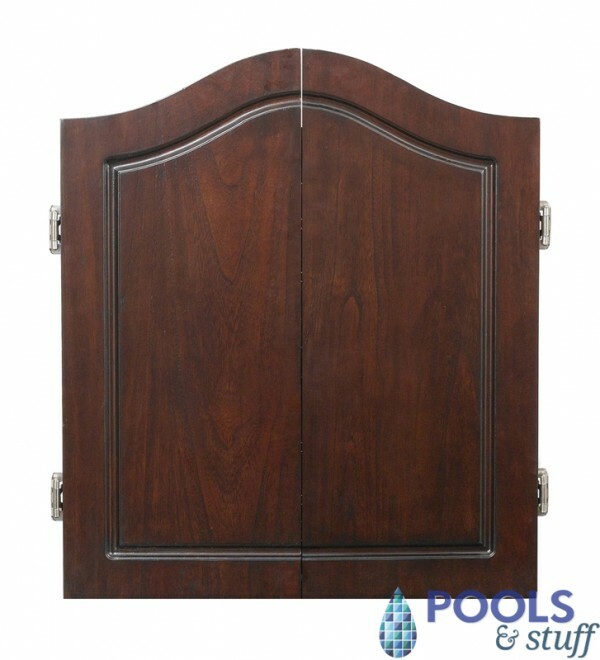 This high-quality cabinet is made of North American yellow poplar hardwood, and stained with a beautiful Dark Cherry Finish. 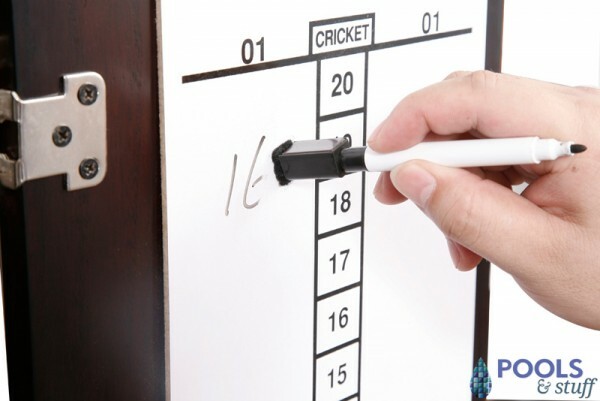 The cabinet features two pub style dry erase scoreboards for playing cricket and 01, two sets of darts with British and American flights, and a regulation dartboard with a removable number ring. 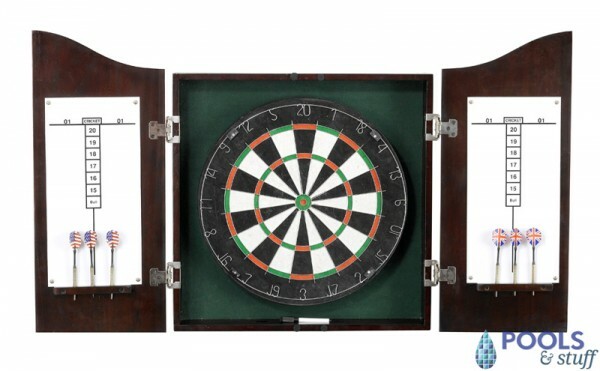 This handsomely finished cabinet stores and protects your dartboard while protecting your back wall from stray darts during games, certain to add a “touch of elegance” to your game room. 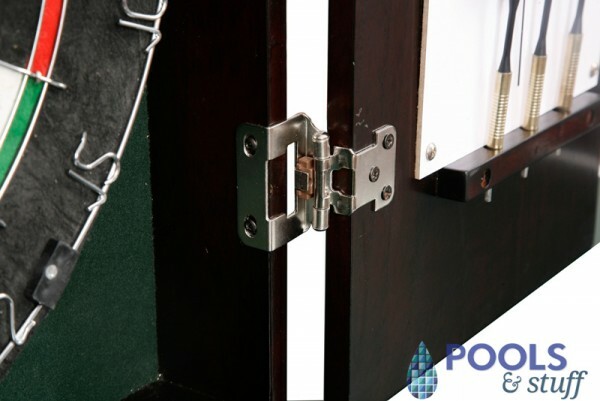 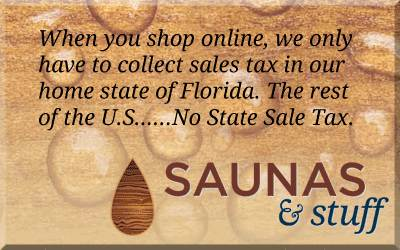 Made from ½” Thick North American Yellow Poplar Hardwood with a Dark Cherry Finish. 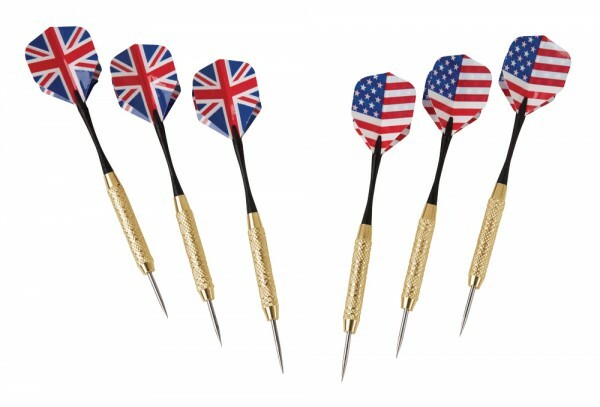 Regulation 18.5 Inch Bristle Dartboard with Removable Ring for a longer lasting board. 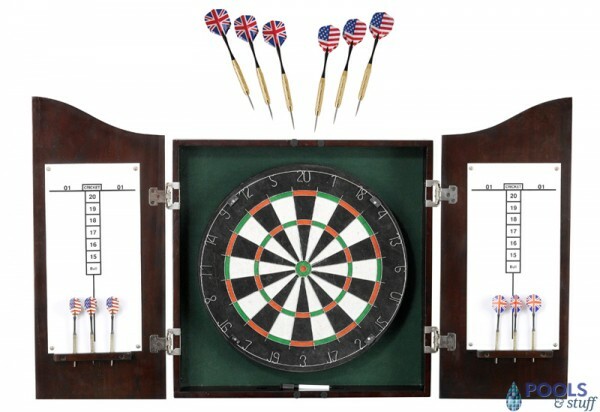 This handsomely finished cabinet stores and protects your dartboard while protecting your back wall from stray darts during games, and adds a touch of elegance to your game room.